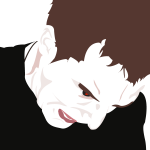 Wait a minute, you can do that in Illustrator now? Well, you can cut and paste the text. But what is it you are actually trying to do? Converting Frame text into Art text would usually produce extremely long lines, because the former wraps and the latter doesn't. If you merely wish to scale the Frame text as if it were Art text, we added an extra handle to do that. It's at the bottom-right of the text frame. Firstly, thanks for responding, Dave. Secondly, it's not just about me. Most (I think) using vector design software, make artistic text first (CorelDraw term!) for all the little bits they need, and to try fonts out for each thing they're attempting to make, and then, at some point, they'll need to write paragraph text, so they just convert one to paragraph text and off they go. But it's often little instance of text from this to that. And back again, if and when it doesn't work. Whilst it took Adobe forever to include this functionality in Illustrator, much of the rest of the world had this ability to go between "lay out text" and "logo text" since at or near their inception. It would be great to have this feature soon :) It's very important for branding work. In most of the cases when I paste a text I would need the artistic type (logo text + tagline). +1, this is a hassle right now. 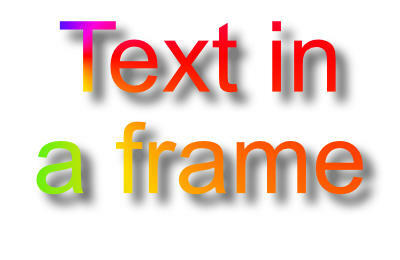 If you merely wish to scale the Frame text as if it were Art text, we added an extra handle to do that. Are there any plans to implement the inverse of this? If you’re going to be changing the content frequently and you often add extra lines, why not create it as a single line of Frame Text in the first place? Personally, I only use Art Text for short phrases & labels I am fairly sure I won't ever want to reformat into multiple lines. For the times I do need to do that, it does not take me more than a few seconds to copy the text to the clipboard, delete the Art Text layer, & paste it into a new Frame Text layer. Wot 'e said, only double. Alternately, it would be a very good solution for many logo designers out there to have a switch in the options to paste text as Artistic Text or a special shortcut key to paste text as Artistic Text. Would be useful for me as well because I don't always correctly anticipate whether I'll want some text to resize with its parent or not. Note: When converting from Frame Text to Artistic Text, Artistic Text should not stretch to fill the Frame. Instead, the converted text should be visually the same and the Transform values reset. Unless I am missing something, that would defeat the purpose of Artistic Text, which is to make the text expand (or contract) as you edit/add to it. By conversion do you mean the existing work around involving copying text to clipboard & pasting it into an Artistic text object or a new 'Convert Frame Text to Artistic Text' function? Personally, what I would like to see is a feature that allows resizing of a text frame (or a group containing a text frame) in the Transform panel, so that can be done precisely, without having to use the extra handle in the workspace. What do you want to do that you cannot already do via the width and height controls in the Transform panel? Change the size of frame text along with the size of the frame -- currently, the only way to do that is with the extra control handle in the workspace. I really, really, really, like that new handle in the Frame text objects. Nice improvement! I think it's a brilliant new approach to make the text frame very flexible. Especially when used in Symbols. However, there are many cases when I created a Symbol using Art Text, which seemed suited at the early design stage; usually before the editor wanted extend copy. Now I need that single line to wrap because i became too long. • Adjust the wrap as needed. It works, but it's a lot of steps for something very "mechanical" that requires no human interpretation. I supposed that we coud use the Frame Text by default, but sometimes the frame just gets in the way. For that reason, it would also be nice to be able to convert a Text Frame to an Art Text as well — I can see the nightmare the latest would produce in case of a symbol with different warps... Ouch!.